Fig. 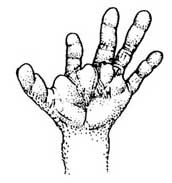 1: hand of Loris . Fig 5: location of the externally palpable tips of nuchal spines in a live potto (here in defensive posture) (fur drawn translucient) . 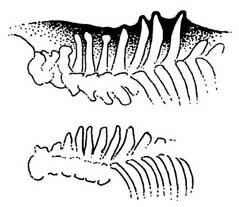 Fig 6: vertebral columnns with nuchal spines. Above: Perodicticus. Below: proposed genus Pseudopotto. Fig. 1: redrawn from a photo in Petter, Hladik 1970. Fig. 2: redrawn from Jolly 1975. Fig. 3: redrawn from Sanderson, 1940. Fig. 4: redrawn from Napier and Napier 1985 and Biegert 1959. Fig. 5: redrawn (changed) from Schwartz 1996; extent of soft tissue based on Charles-Dominique, 1977. Fig. 6: based on Kingdon 1971 and Charles-Dominique, 1977. Fig. 7: Loris specimens (different forms / subspecies), kept at Ruhr-University and Duke University Primate Center. Fig. 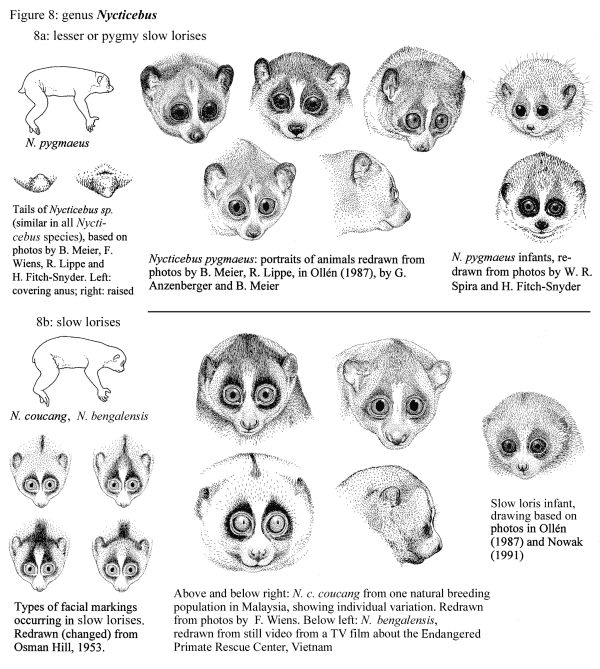 8: slow lorises, N. coucang: specimens of the subspecies N. c. coucang redrawn from photos by F. Wiens, and N. bengalensis redrawn from a still video from a TV film about the Endangered Primate Rescue Center at Cuc Phuong National Park, Vietnam. Fig. 9: Arctocebus tail redrawn (changed) from Charles-Dominique (1977) and photos by S. Bearder, other figures redrawn from photos by S. Bearder. Fig. 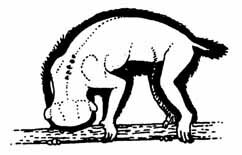 10: all potto figures based on or redrawn from photos in Schultz (1971).